Today I spoke with Cindy Alloway (Roses), Dale Flowers (First Santa Rosa), and Jeff Johnson (The Cove). And, before saying any more, I want also to recognize Brenna Hesch, Associate Pastor at First Santa Rosa, whose sermon on Sunday was a masterpiece of holding a congregation in the hope of the Gospel while in the midst of profound and disorienting grief. Superbly crafted and delivered. 1) We do not need more material donations. We are over-whelmed with generosity and have more than the donation sites can manage. 2) We do not need more volunteers. Certainly, there are those with very specific skills that are needed, but for most of us, our skills and resources can be better used in other ways–see No. 4 below. 3) We do not need more pastoral/spiritual caregivers. The broad religious/spiritual community within the area is responding in exemplary ways. They know their communities the best and will extend invitations if more help is needed. Please see No. 5 for one important suggestion. 4) What we REALLY need is housing. Certainly, for those displaced, but also for the construction workers from outside the area who are going to be desperately needed. One idea “floating around” is creating space for motor homes on church property. Jeff Johnson is among those developing this idea. Maybe this is one place where we could collectively offer support. Maybe we could find presbytery funds to help create the necessary infrastructure to make this a reality? 4) Yes, I know there are two No. 4s. We REALLY need financial contributions. All funds donated through Redwoods Presbytery, or to our individual congregations, will go to those who have little or no other financial resources. We want to, and will, care for everyone. Our hearts go out to those who have plenty just as much to those who have very little. This time and place grief-filled for all. Period. We will do all we can to ensure that our contributions go to the very least among us. This is the Gospel. 5) Andrea and Dean Kladder, Healdsburg Community Church, are holding a training this Sunday at 11:00 a.m. on Active Listening. Please give the church a call if you’d like to attend. This is pastoral care at its very best and it can be taught in every congregation by every pastor. We know how to teach and practice this in Redwoods! We need a community of friends (pastors) who can listen from the depths of their being. This is God-listening. 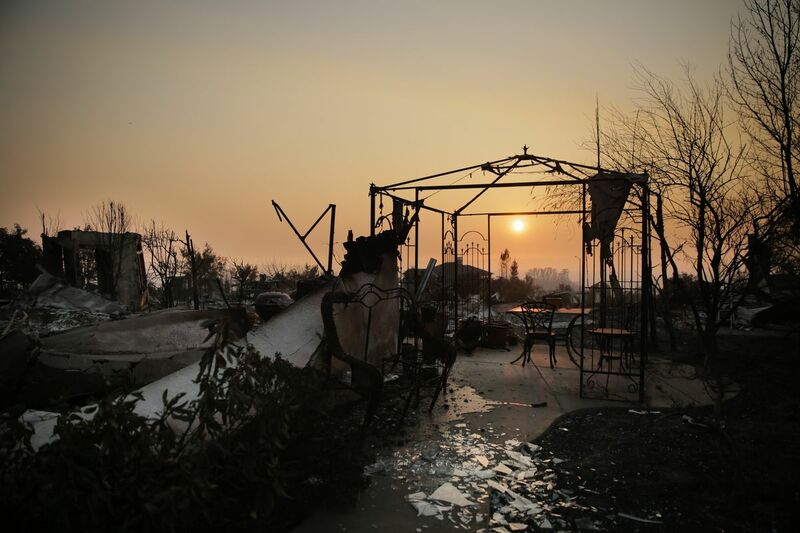 We have approximately 80+ church families in Redwoods Presbytery who have lost their homes. Fifty-six of those are from First Presbyterian Church, Santa Rosa. There are many others who have lost income and businesses. We are here not only for our own; we are here for all. “For God so loved the world.” The world is our family. The world is God’s family. We know this in Redwoods. Last Sunday, an elder who has served Redwoods in very powerful ways and who lost absolutely everything in the fire, came to me. He put both hands on my shoulders, looked me squarely in my eyes and said, “Bob, I am going to be fine.” My eyes were filled with tears. His eyes were filled with hope. Thank you all for your faith and ministry. Thanks be to God. Rev. Bob Conover (Executive Presbyter/Stated Clerk) at Redwoods. Let us continue in prayer and support, our brothers and sisters in this time of anguish. previous: PneuMatrix Gathering on Weds, Sept 6th. 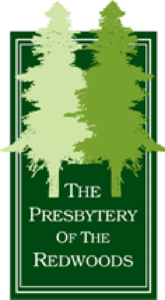 next: Presbytery of San Francisco Oct/Nov 2017 Update!